Sterling silver pattern created by silversmith Nicolas Cornu in the 18th century. 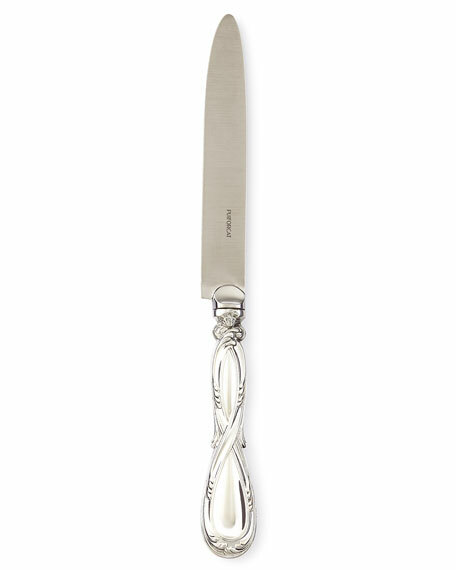 Delicate openwork on dinner knife requires manual filing to reveal the nobility and beauty of the sterling silver. 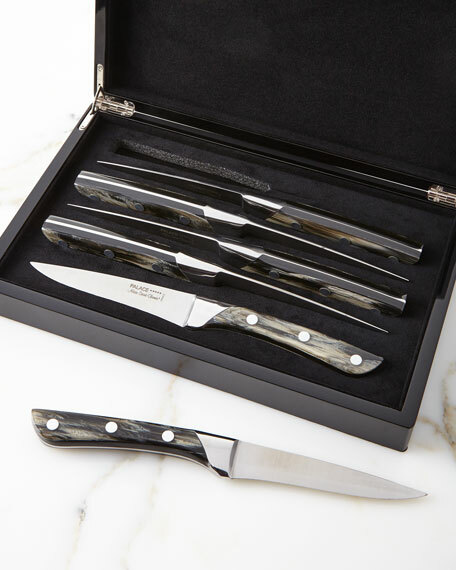 Handcrafted set of six steak knives. Steel blades and resin handle. Faux mother-of-pearl finish. 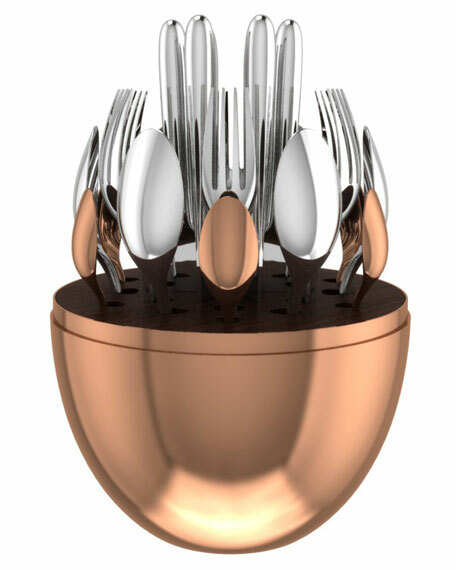 Each, 9.25"L. Dishwasher safe. Made in France. 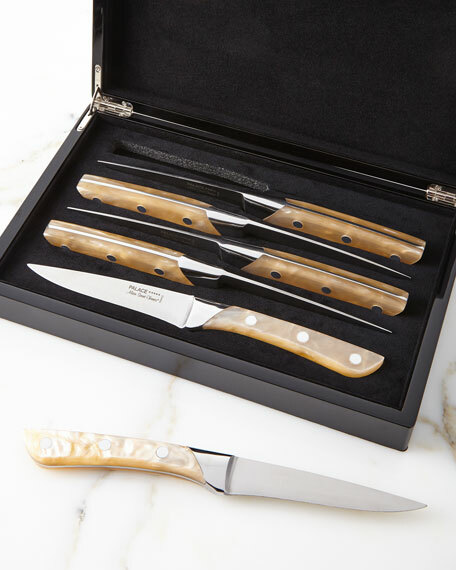 Handcrafted set of six knives. Steel blade and resin handle. 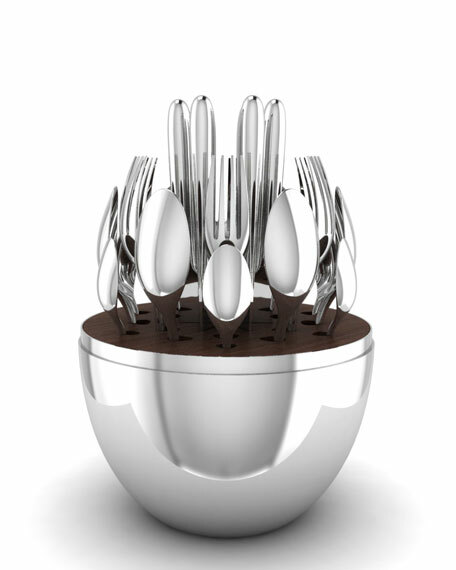 Each, 9.25"L. Dishwasher safe. Made in France.